Arrive in Istria. Info meeting with Fiore representative at 7 pm at the hotel reception area where we will provide you with the package including hotel vouchers, maps and a road book, luggage tags. Overnight in Motovun. 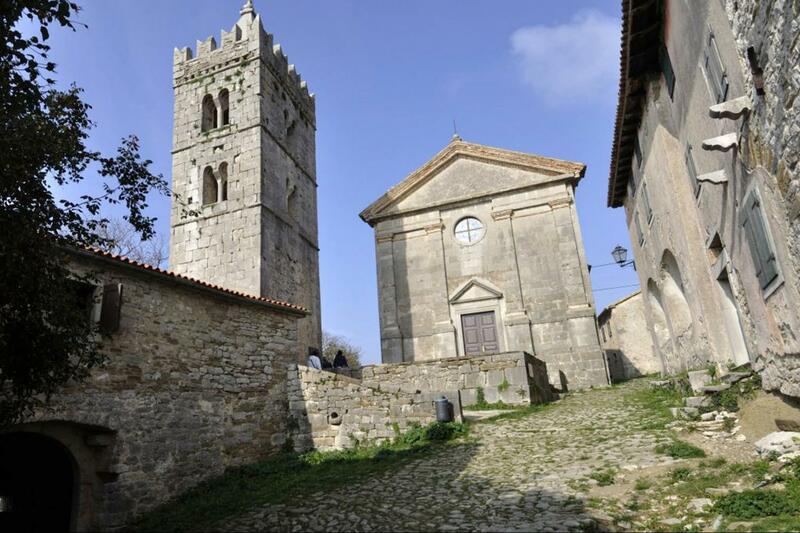 After breakfast you are ready to start exploring Istrian villages and hidden paths. After 10 minute transfer walking stage starts on ex railway Parenzana. Parenzana was a narrow - gauge Austrian railway connecting Trieste with Poreč through a series of Istrian small towns, for 123 kilometers long. 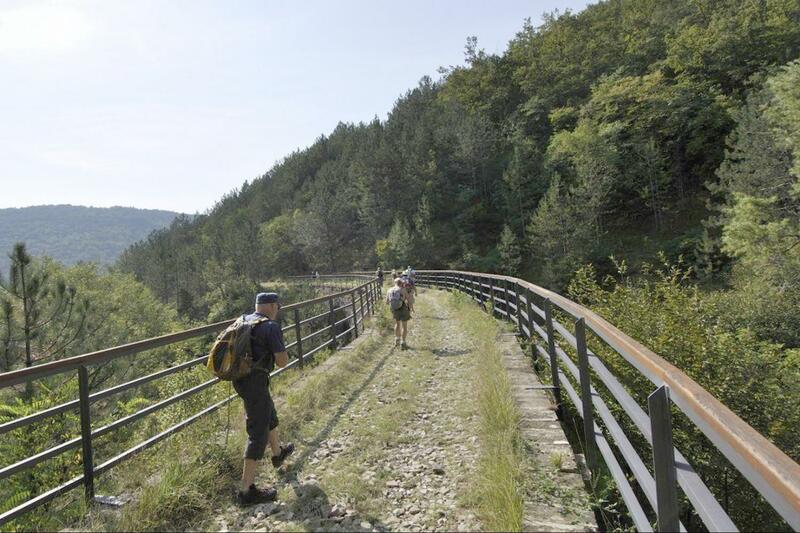 The railway was in function from 1902 until 1935, and today, the track has been rearranged for cycling and hiking paths wounding through Istrian hills. Grožnjan will be your start point. After you saw It's galleries and viewpoints you can pass through magnificent rolling landscapes and lively Istrian vineyards. Afer passing through several tunnels, over old bridges you can stop on many fascinating view point before reaching the village of Livade, the truffle center of the world where you can taste and buy some products with truffles. In front of Livade on a hill is the town of Motovun where is your hotel. Walking distance: Ascent: 546m. Descent: 609m. Distance: 24 km / 15 miles. Time: 5-6 hours. Path from Buzet to Hum can be a circular trail or one way if you start from Hum. The trail starts by the river and turns into the forest, passing over shallow river or riverbed if it's dry. It's passing by some waterfalls with lakes. Nice, and not too steep, the trail leads you all the way to Korita, the water springs with natural pools and an old watermill. The trail continues following the riverbed and it's passing through Benčići, an abandoned village where you can see traditional Istrian stone houses. From there you'll see Hum and its recognizable church tower in the distance. 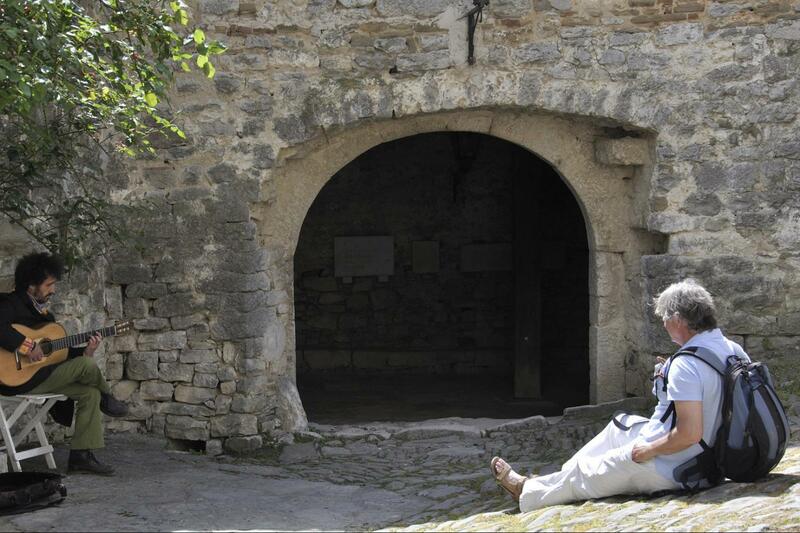 When you get to Hum, take a walk and you'll understand why it’s the smallest town in the world. In Hum you can eat in the local "konoba", a word from the local dialect that means restaurant. The "konoba" in Hum oﬀer you nothing but traditional Istrian dishes. 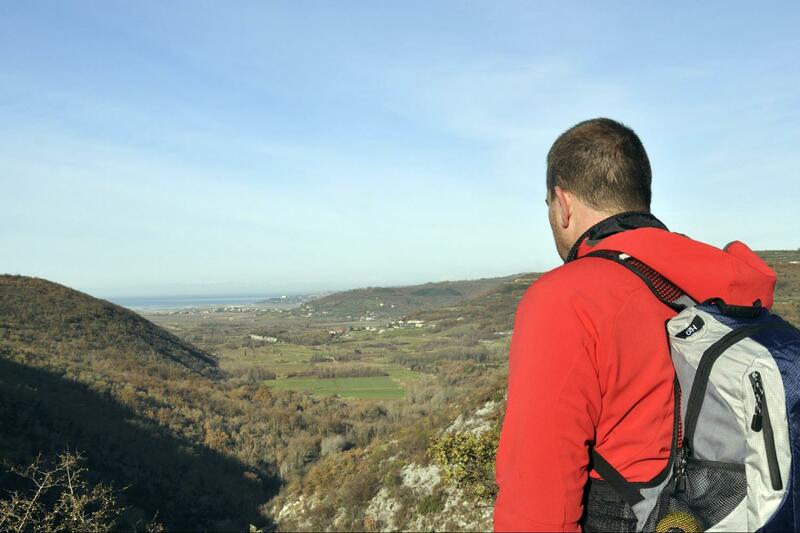 The «way of mistletoe» will lead you all the way back to Buzet. It takes about 3 hours of hiking in one way. Overnight in Buzet. Walking distance: Ascent: 553m. Descent: 560m. Distance: 24 km/ 15 miles. Time: 7-8 hours. Alternatve shorter walk is available at approximately 12 km / 8 miles. Time: 3-4 hours. Transfer to Poklon, a saddle between two hills from where trail starts. It goes on the top of Učka mountain which is biggest mountain in Istria with altitude of 1401 m .From the top it goes all the way down on sea level in Lovran. Path is covered by oak and chestnut forests that give pleasant freshness in hot summers. The very summit of Ucka (Vojak) is worth to climb on for stunning panorama. The panorama of Kvarner bay includes sea and coastal towns, as well as the mountains in background: Obruc, Snjeznik and Risnjak Western side the whole Istria peninsula lies in front of you. Sometimes, if visibility is good, view towards to Venice and on Alps on the north side. Overnight in 4* hotel in Lovran. Walking distance: Ascent: 452m. Descent: 1386m (optonal 452m descent). Distance: 11 km / 7 miles. Time: 4-5 hours. Prices are for double room.